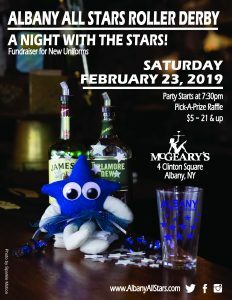 Join the All Stars at McGeary’s pub on February 23rd to raise money for new uniforms. Join the Albany All Stars at McGeary’s Pub on February 23rd at 7:30pm. Proceeds will go to help defray the cost of our New Uniforms!